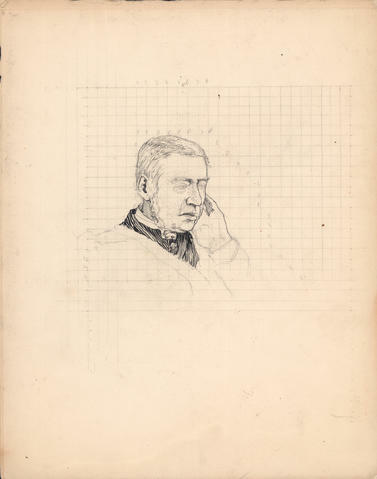 Part is an unfinished Arthur Lismer portrait of Allan Pollock, commissioned for One hundred years of Dalhousie, 1818–1918 (1920). The sketch is drawn over a numbered grid. The completed portrait reproduced in the book is in 0000-091, Box 1, Folder 7, Item 2.